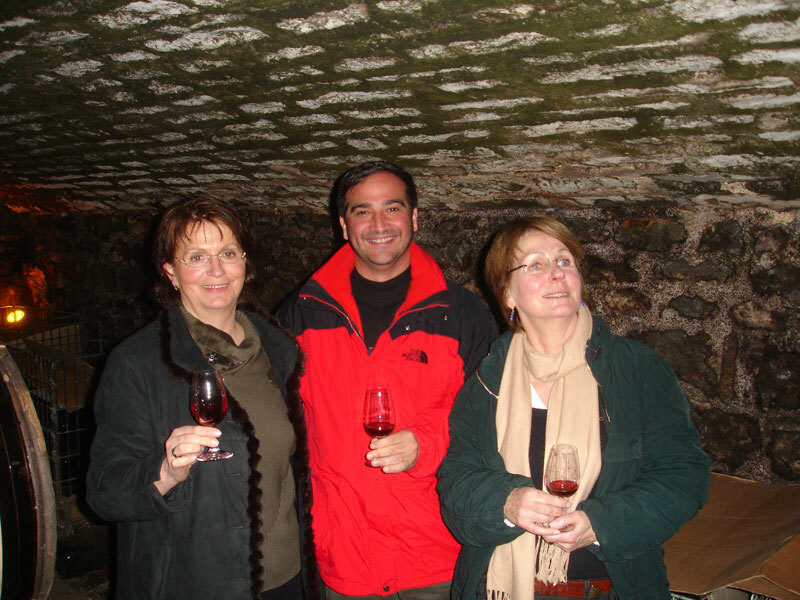 POMMARD – Laurence has gained great acclaim as one of the best oenologists in France. She has been the head winemaker for the Joseph Drouhin family for over 20 years. While she has retired from her “day job”, her passion still continues with the wines from her personal family estate. These wines are bottled under her father’s name, Gabriel Billard, and they are phenomenal. “The love of winemaking” has been transferred from parent to child in the Billard family since 1730. Laurence Jobard and her sister, Mireille Desmonet, took over the family estate from their father in 1989, thus becoming the 7th generation of winemakers in the family. Laurence is a true artisan of the vine and of the grape. She says the most important thing is for the terroir (soil) to express itself. She strikes a balance between letting nature take its course and using technique to influence the process. Basically, she feels that good grapes from a good area (Pommard) will yield world-class wines with just a few loving touches. But she is quick to point out that you can only make such good wines with quality grapes from the vineyards. In fact, the wine is mostly “made” in the vineyards, not the cellars. Most of the Gabriel Billard vines are OLD VINES. They are from 50-75 years old. But yet, there is no mention of “old vines” on the labels. This is not a family of marketers; it is a top-notch winemaker family. Laurence runs the domaine with her sister, Mireille, and just one other employee. These three people make a grand total of 975 cases each year. This is most exclusive juice. And Laurence’s daughter is now a certified oenologist. Over time, her daughter will be the 8th generation winemaker at this small, family-run estate. Laurence and Mireille will not bottle a wine under their own name unless it comes out perfectly. If a wine does not turn out right, she sells it to one of the large Burgundy corporations for export. When Laurence and Mireille put their names on a bottle of wine, you can actually taste the difference. No wonder this is one of the most respected winemaker families in all of France. Please call us to learn more about our Billard, Gabriel Wines and their availability.